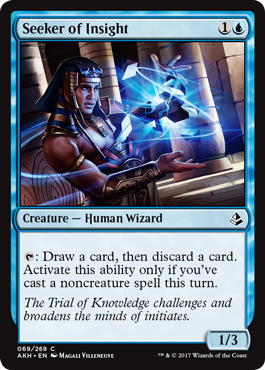 Overall Thoughts: This card works well in a control deck, but that’s about all the use I can see for this card. This won’t be a big player in any other type of deck. 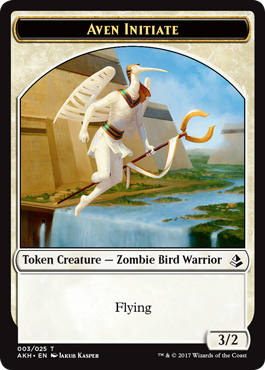 Overall Thoughts: While a 4/4 flyer for 6 mana leaves a little to be desired, the ability to return a creature with a helpful enter the battlefield ability makes this worthwhile. Or you could cast this to remove an important blocker from your opponent in order to push through those last points of damage. Overall Thoughts: Getting something for free is a great feeling, and a terrific ability. 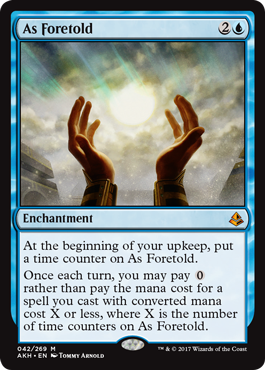 And the fact that you’re able to cast a card on both your turn and your opponent’s turn is also great. 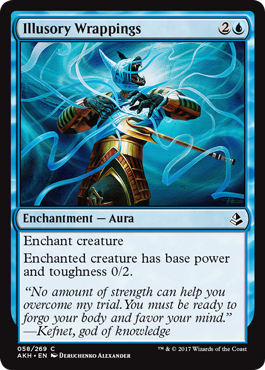 Also, since you can cast any kind of spell on your turn, it’s useful to help get out a force of creatures more numerous than your opponent has. 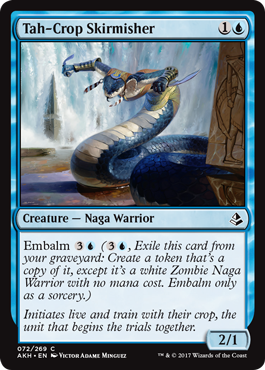 Overall Thoughts: This is an okay card for it’s cost, but the embalm cost is pretty prohibitive. I don’t see this being widely played. Overall Thoughts: The old standard for countering any spell. It’s very serviceable, but nothing to write home about. 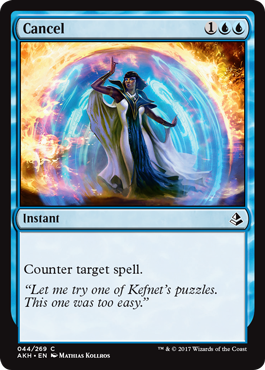 The art for this new version of Cancel is pretty amazing, and I’ll bet it looks great in foil. Overall Thoughts: 2 mana to draw a card isn’t bad. 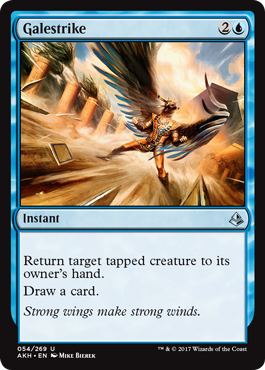 Getting +1/+1 and flying for 2 mana is also pretty good. Getting both things for the same 2 mana is very worthwhile. I would expect to see this in a number of decks. Overall Thoughts: A 2 mana Force Spike will probably see play in a heavy counter deck, but even cycling doesn’t make this see widespread play. Overall Thoughts: Currently Standard doesn’t have enough cards to enable a dedicated mill deck, so this card will only see play in decks that want to achieve delirium. 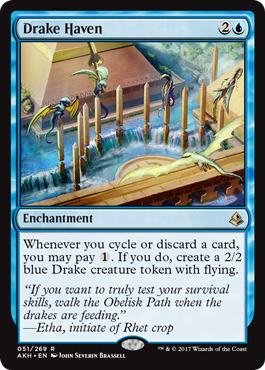 And with cycling in Standard again, there’s lots of other ways to ensure you get certain card types into your graveyard. Overall Thoughts: Here’s a good finisher far a control deck. There might be other options, but I think some people will be trying this card out for a spin. Overall Thoughts: Speaking of finishers for control decks, here’s a better option. 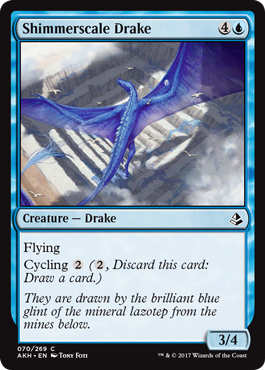 And this works great in control decks that use cycling cards to their fullest. This will see some play. 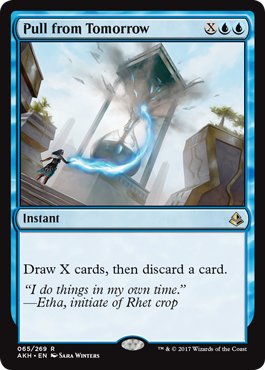 Overall Thoughts: This card has a good home in limited play, but it doesn’t work as well in constructed play. I do not see this being played in Standard. 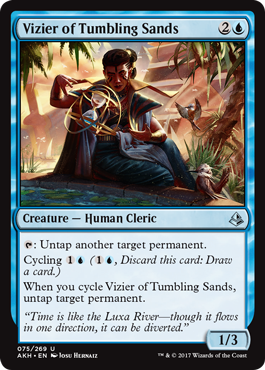 Overall Thoughts: I look forward to seeing all of the sweet red/blue madness/cycling decks built around this card. That’s like getting value on top of value. Overall Thoughts: Blue has gotten a lot of counter cards, and here’s another. This is a good card, even though it has it’s limitations. It happens that Standard is filled with creatures, so this will likely see some play in a control deck. Overall Thoughts: Here’s another card that’s better suited for limited than for Standard. 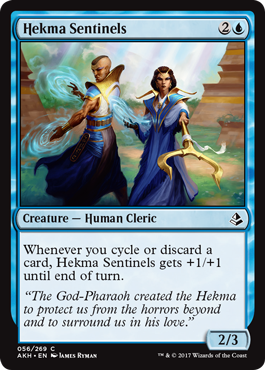 The fact that this costs 6 mana means it won’t see any play (even with having cycling). 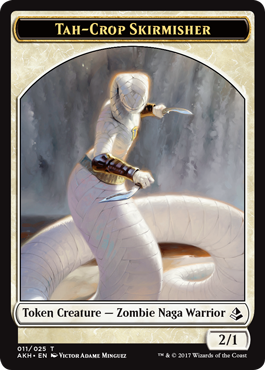 Overall Thoughts: This card works nicely to get rid of a creature that is tapped due to an exert ability or any creature your opponent has that you can’t block (or don’t want to). Plus it draws you a card. 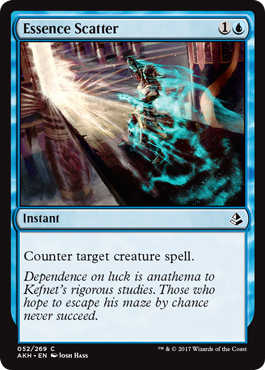 This should see play in plenty of decks. Overall Thoughts: A large flyer that has an ability to help it remain in play is great. The fact that you can play it again once it does die (thanks to embalm) makes this amazing. 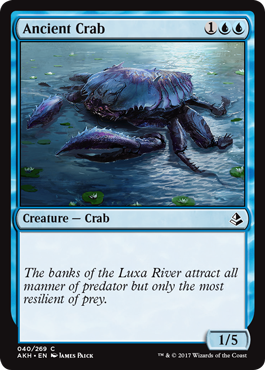 Overall Thoughts: A mediocre ability on a creature with mediocre makes this a mediocre card. Nothing to see here. Move on. 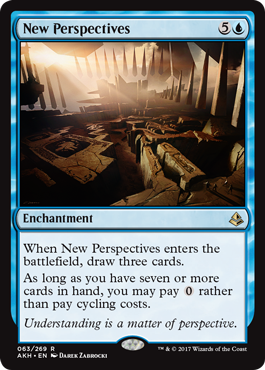 Overall Thoughts: A slightly more expensive Divination with cycling isn’t great, but I could see it being played in lots of decks (’cause who doesn’t like to draw cards, right?). Overall Thoughts: If this had flash, this card might see some play. 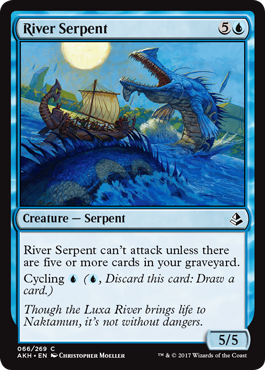 As it is, this is a good sideboard card to board in if your opponent has a creature that is too large for you to handle easily. 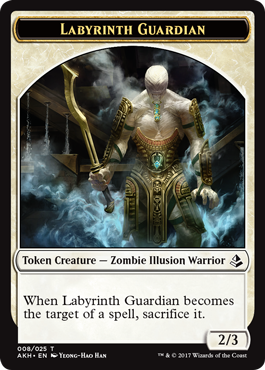 Overall Thoughts: Now this is a finisher for a control deck, as long as you have a way to draw extra cards. The activated ability on this card helps towards that goal, but you’ll likely need something else to assist. However, if you do ever manage to get 7 or more cards in your hand, winning the game with this card should be relatively easy. 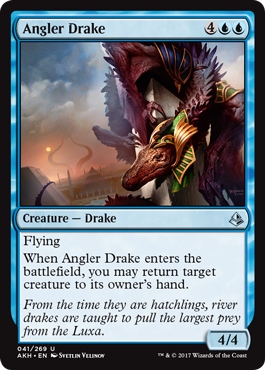 Overall Thoughts: I hold no hope for this card to see play in Standard. Any spell, whether it’s helpful or hindering, that targets it will send this to the graveyard. That’s not something that most people will want to play with. 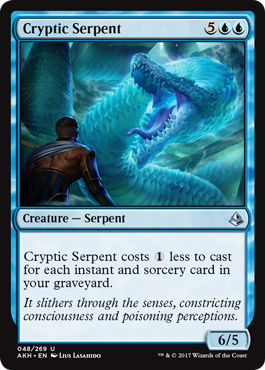 Overall Thoughts: Yes, this card is expensive to cast, but if you manage to control of take your opponent’s best creature, you can turn the tide of a game. 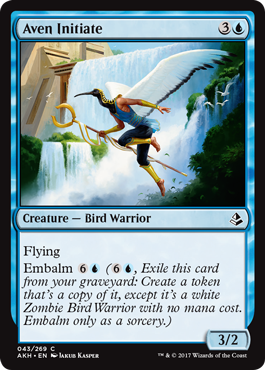 And, it doesn’t just hit creatures, it works on all permanents. It’s a great card, but the casting cost will limit the amount of play it sees. 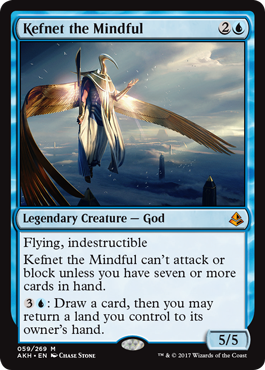 Overall Thoughts: This is a good card in a Sultai delirium deck, but there aren’t many other decks that will want this. 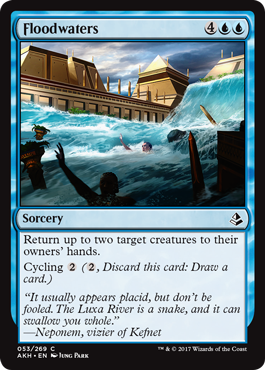 Overall Thoughts: People will try to play this card in the hopes of breaking it, but once that fails, this card will not see play after that. 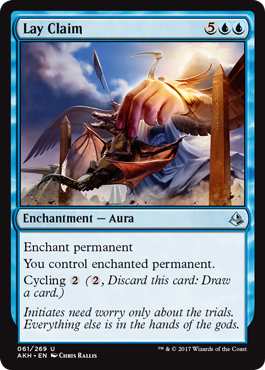 I think it will prove to be too difficult to keep 7 cards in your hand in order to utilize the reduced cost for cycling. 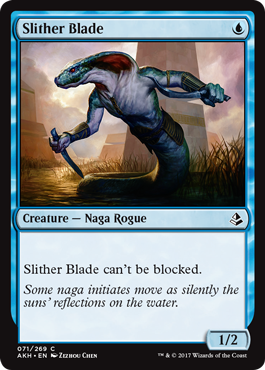 Overall Thoughts: I like this card a lot as a finisher for blue decks. But it’s also good to play earlier as well, due to the fact that it draws you cards in addition to helping damage go through. Nice card. 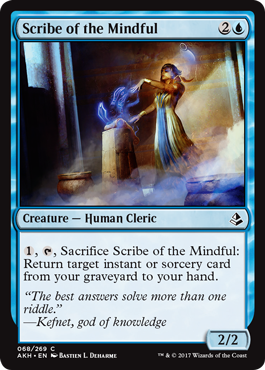 Overall Thoughts: While this card is okay when less mana is used to cast it, I think the sweet spot for this is at 7 mana. 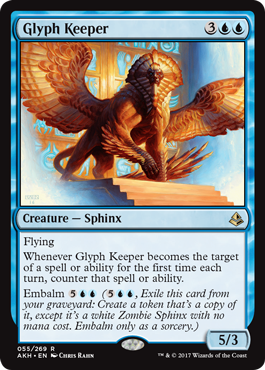 I know a lot of people are comparing this to Sphinx’s Revalation, but it’s not nearly as good in my opinion. It’s still really good, but it’s not even in the same ballpark. Overall Thoughts: At 6 mana, by the time you can cast this, you’re likely to have the necessary 5 cards in your graveyard to allow this to attack. If you don’t, you’re probably fairly close, so casting this to be a blocker only isn’t bad. And having cycling means that any copies cycled earlier in the game help later copies be able to attack. 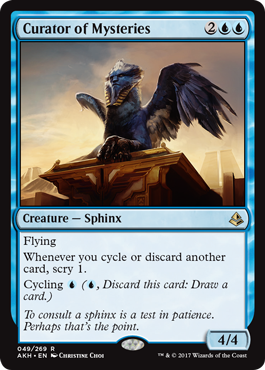 Overall Thoughts: Cycling a card away to get a more useful card at the time will happen often. Being able to get back a card you didn’t need earlier but do now is a very nice ability. 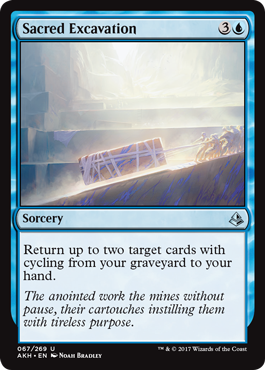 Or for those decks that are built around cycling cards, being able to cycle the same cards multiple cards would be very helpful. This card should see some amount of play. 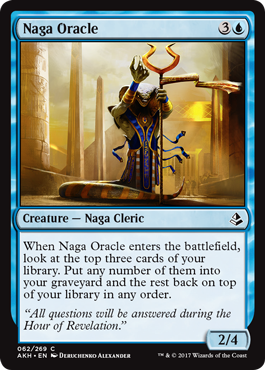 Overall Thoughts: I think this card has a nice home in control decks or red/blue decks. 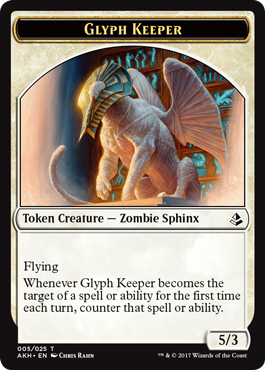 This card can then either be sacrificed on your turn in order to gain an advantage, or after blocking in order to prevent damage while getting a card back. 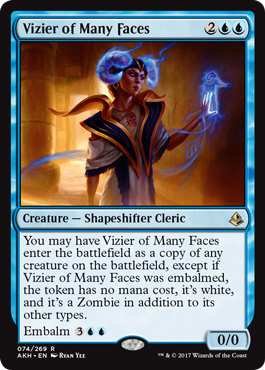 Overall Thoughts: I don’t see this seeing much play, but if it does it will be in a red/blue deck that plays few creatures and lots of noncreature spells. It’s very limiting. 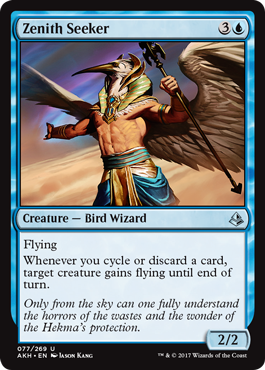 Overall Thoughts: This is pretty pricey for the stats you get, but since it does have flying and cycling, this card might see a little play. 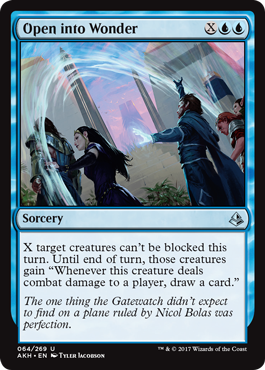 Overall Thoughts: Unblockable isn’t nearly as good as hexproof, but I’m sure people will try this card out. If you manage to pile on a few auras or equipment onto this card, you could end the game quickly if your opponent doesn’t have a way to destroy it. 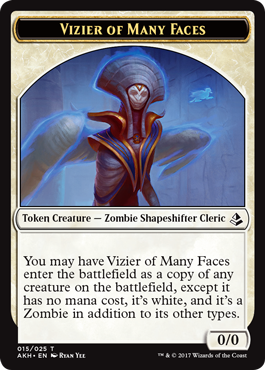 Overall Thoughts: This creature suffers from low stats compared to its mana cost. 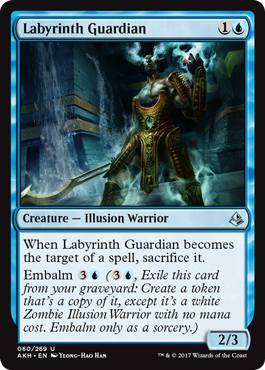 The only saving grace is the embalm ability to provide you with another chump blocker later in the game once you’ve used all of the options from your hand. 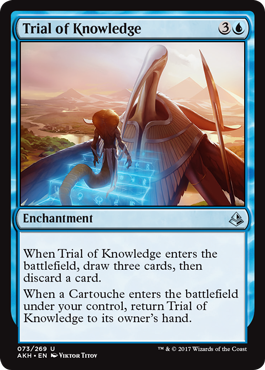 Overall Thoughts: Drawing cards is always good, and the rate of return for this card is on par with most other Standard legal cards. 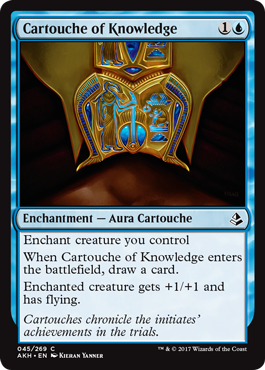 The fact that this can be played repeatedly (with the help of cartouches) makes this card just a little more playable than it otherwise would be. Overall Thoughts: The clone ability this card has is good and can be an equalizer when your opponent has a big nasty beast you can’t deal with. The best part is that this has embalm, so it can be used an additional time. Overall Thoughts: Being able to return a card that has an important enter the battlefield effect to your hand to be played again can be very powerful. More rarely, you’ll cast this on something of your opponent’s in order to get it off the battlefield for at least a turn. I can see this getting some play. 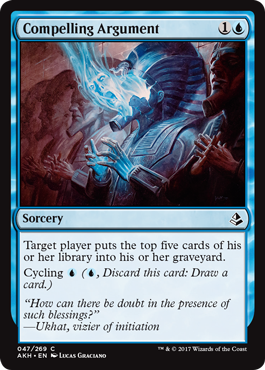 Overall Thoughts: This card fits well in a deck built around cycling or madness. But that’s about the only place this card fits. It’s a very niche card. Overall Thoughts: The Commit side of this card isn’t very good, in my opinion. All you’re doing is delaying the inevitable. I’m also not a fan of the Memory side, as I hate giving my opponent a full hand of cards to use against me. 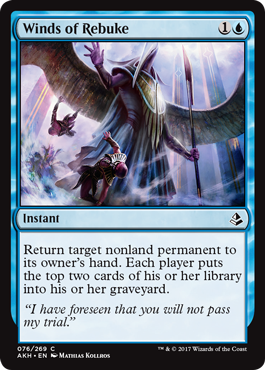 However I am happy to see some graveyard ‘hate’ from this set. 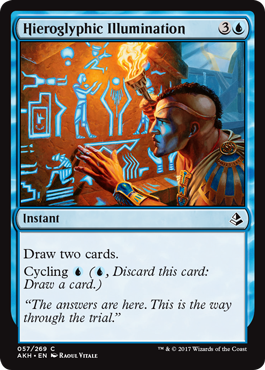 And that’s my thoughts on the Blue cards in Amonkhet. Let me know how well I evaluated these cards by letting me know your opinion in the comments section below. Tomorrow I’ll be reviewing the Black cards. I hope you come back to see my thoughts and to let me know yours. See you then!